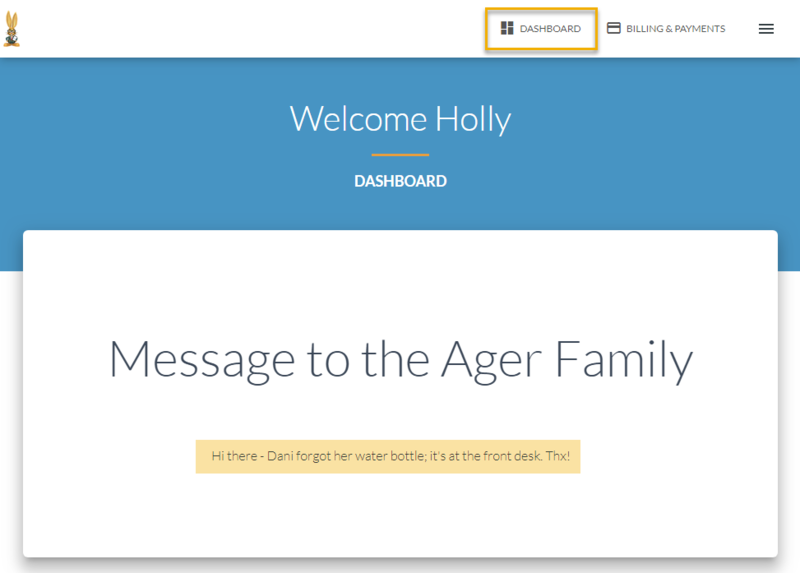 When a parent logs into their Portal they will land on the Dashboard. What they see on the Dashboard is controlled with your Parent Portal Settings. The Parent Portal Login Message is a private message sent to a specific family (Family record > Misc tab > Parent Portal Login Message). This message will appear on the Dashboard until the Portal Message Expiration Date has been reached. See Send a Private Message to a Specific Family's Parent Portal for full details. 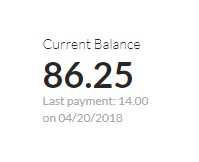 When the Show Balance checkbox is selected in the Parent Portal Settings > Fees & Payments section, the family's current account balance will be displayed along with details of their last payment. This will appear below any private message that may exist for the family. If you have opted to display the Classes tab in your Parent Portal Settings the My Schedule section will display on the Dashboard. Class cards show details for the classes the students are enrolled in. Which information is included in those cards is controlled by the My Classes section of Parent Portal Settings. 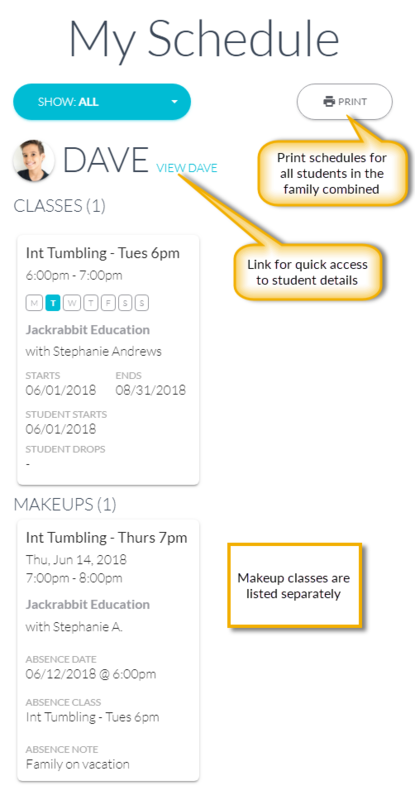 Classes that a student has a makeup scheduled in are listed separately. A link to the students provides quick access to their contact details, and depending on your Parent Portal Settings, to enrollment, absence, and skills information. The Print button located in My Schedule will print a class schedule for all students in the family, sorted by class meeting days.